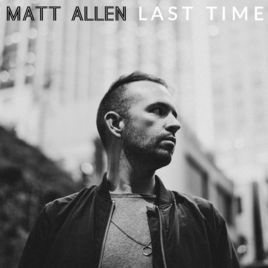 Matt Allen has just released his Last Time EP, a four-track extended play that showcases tremendous depth in a small smattering of singles. Get To Know Me is a soulful track that showcases Allen’s tremendous vocal ability, all while there is a robust R&B production that benefits from a thick bass line and soulful keys. Ride The Moment begins with an inviting clap track that ties together soul and gospel styles into a retro-sounding track that has a truly worldwide appeal. The presence of a chorus and influences for Matt including Lionel Richie and Raphael Saadiq makes this into a track that could easily garner some serious radio play. You Fill Me Up With Love is bar none our favorite track on Matt Allen’s Last Time EP. There is an insistent bass line, a style that brings a bit of disco and funk into the mix, and the inimitable vocal stylings of Allen draped over the backing instrumentation. Listeners will get a good idea about the sheer range and ability of Matt during this effort; more than just contributing the narrative in his lyrics, Allen is able to go and provide further variation to the harmonies achieved during this effort. Last Time slows things down and has the sort of emotional intensity of The Isley Brothers or Aaron Neville. While Last Time has a slower tempo than the rest of the albums on the eponymous EP, I feel that this track is by far the most engaging on the release. The rising and falling action of the instrumentation is delicious, further bolstered through the sultry lines that Allen feeds to the captive audience here. Check out more information about Allen in the below links.